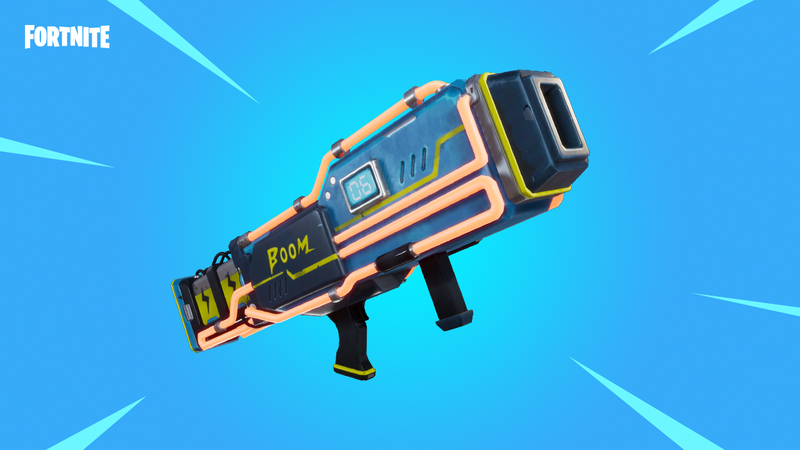 V3.6 introduces quality-of-life improvements to Battle Royale, adjustments to the Minigun and the debut of the latest gameplay item… Clinger! You can be sure it’ll get you out of almost any sticky situation. How will you use it? 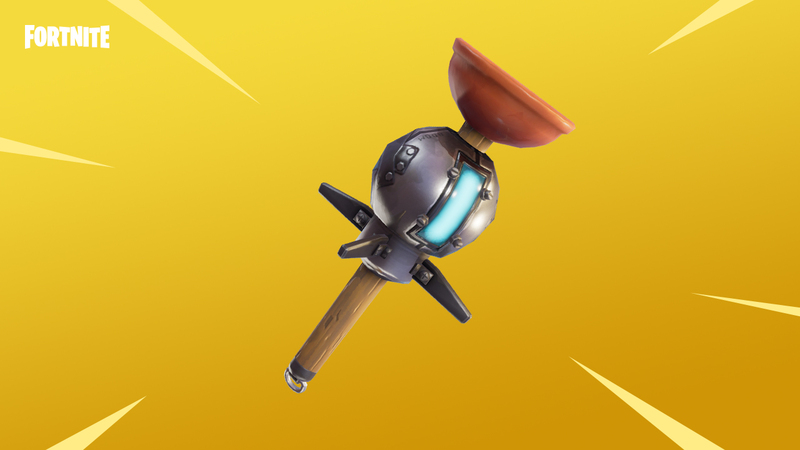 Wield the power of the storm with the Noble Launcher! Give your enemies a sizzling shock. Stick it to your enemies and score the Victory Royale. Find this new grenade in Floor Loot, Supply Drops, Supply Llamas, and Treasure Chests. Charge-up this launcher and leave monsters in shock! Increase the charge for a more intense attack. Twitch account linking has been removed from the game client due to scalability issues. Twitch Prime account linking can still be done through the Epic Games website. Fixed an issue with metal doors not making a sound when closed. The Duo playlist can be set to "No Fill". Only eligible purchases made within the past 30 days are able to be returned. Added lighting effects for Razer Chroma enabled devices including Philips Hue. NOTE: This will be available on April 25 at 8pm ET. Amount of Energy Ammo per craft increased from 80 to 100. Drops of Energy Ammo in the world increased by 20%. The Drone will now crash less frequently. The Drone should no longer crash next to a primary mission defense location. Completion rewards have been improved to drop a wider variety of items. Salvage resources have been tripled. In Thunder Route 99, destroying mine support structures now grants the correct wood resource. Difficulty pylon cost has been returned to a flat cost of 2 BluGlo per difficulty increase. The anomaly can be destroyed by anything doing world damage, including abilities and shooting. Once the anomaly has been destroyed, you must now retrieve the shards by interacting with them. Concrete corner walls in cities and industrial zones no longer block player built structures. Reduced the resurrect time on Defenders from 5 seconds to 2 seconds. Rifts and Encampments should no longer block projectiles. Traps no longer ‘float’ when the wall they are on has been destroyed. Corrected an issue where Remote Explosives could not be thrown while sprinting. Removed predictive stair rotation that would frequently guess wrong. Controllers can now zoom on the Mission Select screen by holding the triggers. Missions can now be selected by double clicking them on the map screen. Removed ammo visualization from the HUD due to instances causing it to not reliably fit on screen. Fixed an issue that prevented scrolling through the quest description for the quest, ‘Reunion Tour’. Fixed an issue where quest updates would pop up behind the build option HUD. Fixed an issue where rewards appeared offscreen on the Mission Select screen. Fixed a delay that occurred when leaving a mission after pressing the ‘Return to Homebase’ button. Significantly reduced hitching in the Transform menu. Fixed an issue where high level players could only hit Power Level 124. They can now get up to Power Level 125. Fixed an issue that caused Bullet Storm Jonsey’s ‘Start Up’ and ‘Start Faster’ perk to not grant the correct amount of bonus rate of fire. Fixed an issue where players could shoot during Constructor’s Bull Rush animation. Fixed an issue where certain enemies were showing up too often within the world. ‘Feel the Base’ shockwave sounds redesigned to be more impactful and have more… bass 🔊!